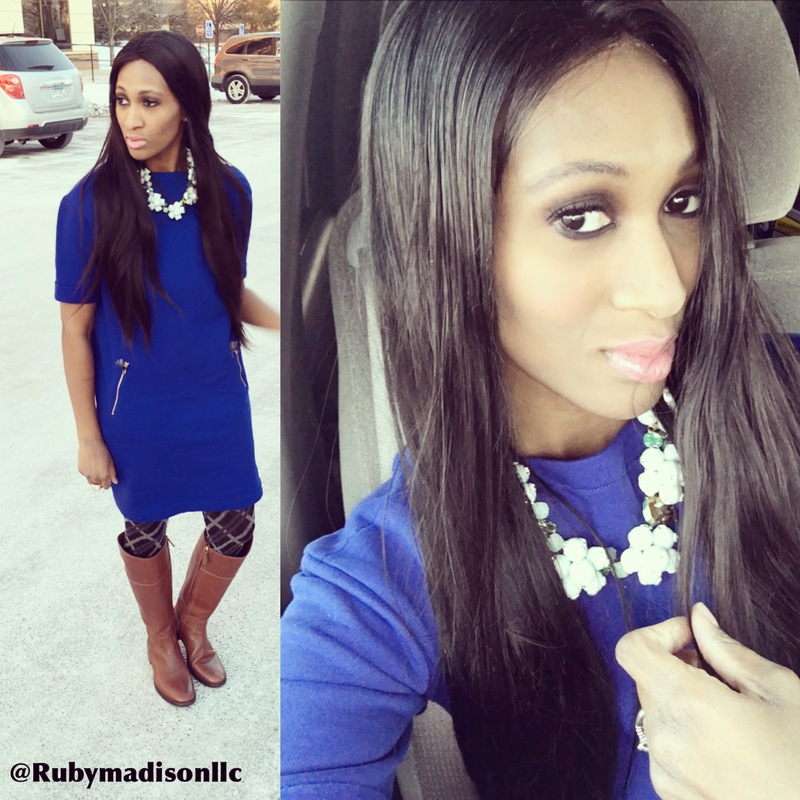 Over the weekend I will highlight a few Valentine’s Day Looks! Pair destroyed denim with a lace tank, pumps, and statement necklace. This outfit is perfect for hanging with friends or the beau at the movies! 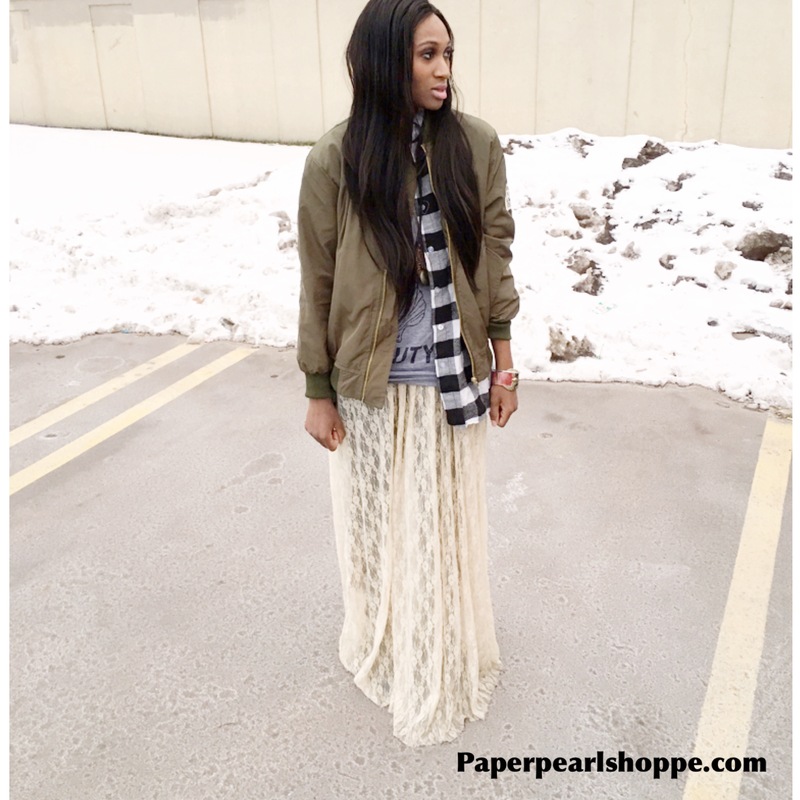 Categories: Fashion | Tags: boots, gap, j crew, la style, Minnesota, minnesota model, model #minneapolis model, model me, ootd, shoedazzle, winter fashion, winter style | Permalink. Categories: Fashion | Tags: boots, la style, lace, ladylike, Minnesota, minnesota model, model #minneapolis model, model me, ootd, winter fashion, Winter is here, winter style | Permalink. It seems as of late we as a society have been rebooting familiar comforts. The styles of the 90’s and 70’s are huge right now, menswear has snuck back into our wardrobes, A revamp of Full House is coming to Netflix and ladylike-chic has come back into play! Along with the old is now new theme come updates to our beloved classics. For instance lace, lace is not the same old lace you thought of as a kid. We have found ways to bring that ladylike element into our clothing with a modern touch. I love lace! It’s a great layering piece and can add that feminine touch where needed. Lace sometimes gets treated as if it’s only a warm weather fabric. However, lace can be worn year round when styled properly. I like to do typical cold weather pieces and add the lace in, this way your look is in season. 👑 Next, wear a tunic length top over the dress, you want your bottom to be covered even though you have on leggings. It will look crazy if you don’t! An Alternative look, a sweater/tee with pumps! Note: I don’t have the longer version anymore. Available: Ankle length or so depending on your height! Get it while you can! I hope this helps you incorporate more lace into your wardrobe! Have a fabulous day dolls! 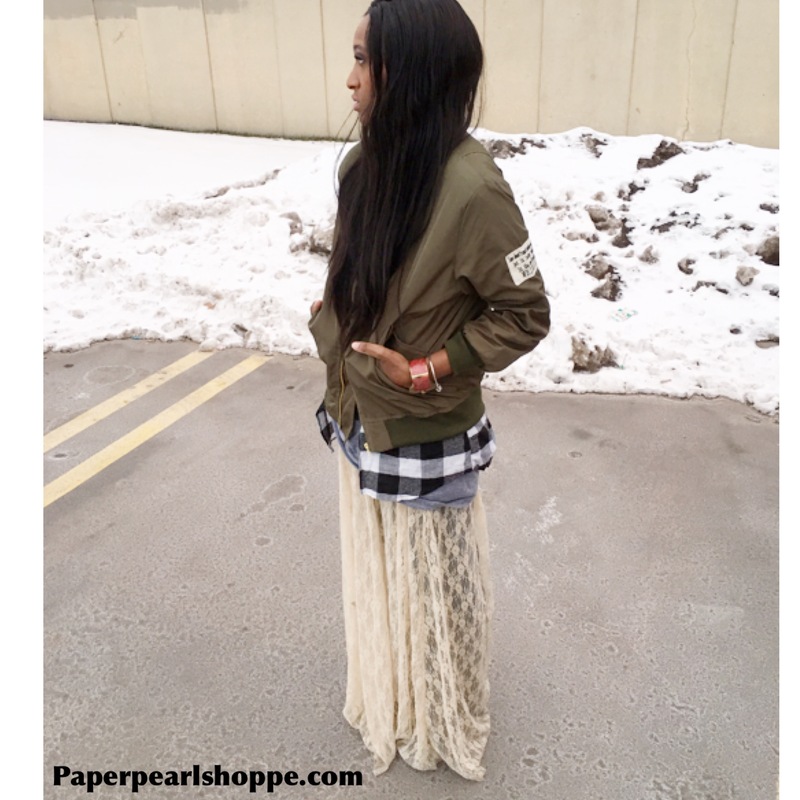 Categories: Fashion | Tags: boots, la style, lace, ladylike, Minnesota, minnesota model, model #minneapolis model, model me #Winter is here, ootd, winter fashion, winter style | Permalink. 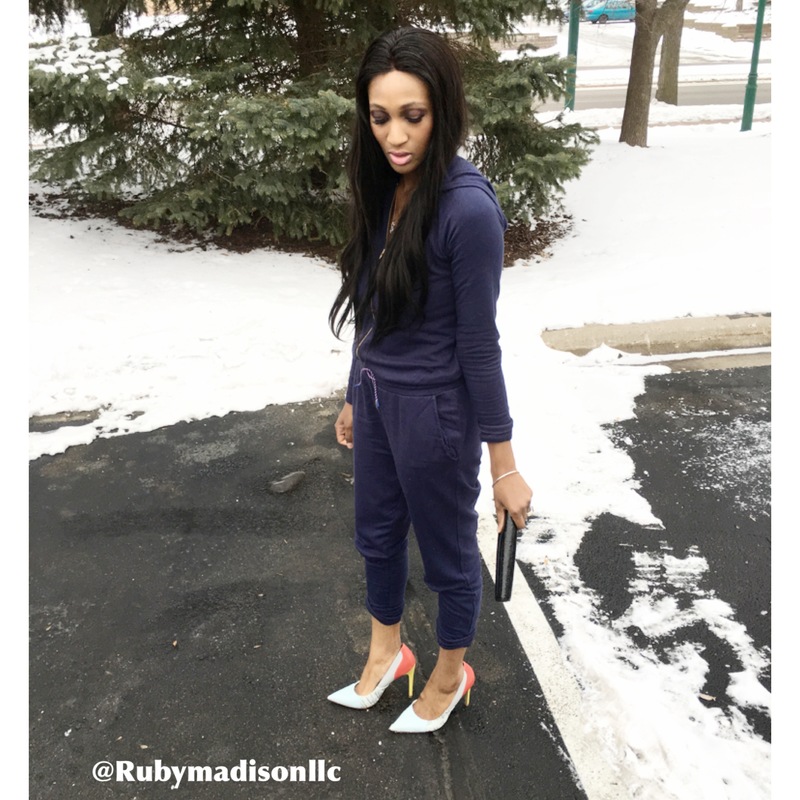 Categories: Fashion | Tags: Athleisure, boots, la style, Minneapolis model, Minnesota, minnesota model, model, model me, ootd, winter fashion, Winter is here, winter style | Permalink. Dress and Necklace from J.Crew , tights are by Vera Wang for Kohl’s boots are by Tory Burch ! Categories: Fashion | Tags: boots, j crew, Kohl's, la style, Minnesota, minnesota model, model #minneapolis model, model me #Winter is here, ootd, winter fashion, winter style | Permalink. The comfy-chic or Athleisure trend seems to be all the rage as of late and why not, who doesn’t like to wear sweats or leggings all day and get away with it?! I love the trend partly because I love jumpsuits! 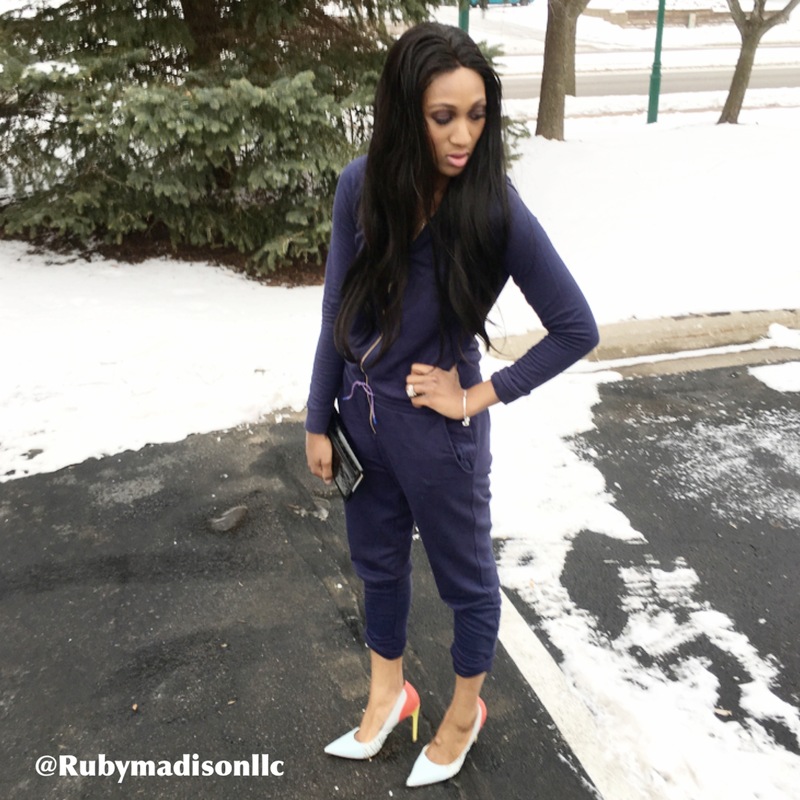 Jumpsuits are great for the times that you are in a pinch and need to get out the door fast, as was the case today. I had an appointment to get to and this jumpsuit was perfect! The cool thing about Athleisure is the versatility. This look can be dressed up and down. For the daytime look I paired my jumpsuit with boots and I scrunched the bottom to give it a chic look. To make it work for night I paired my jumpsuit with classic pumps and a clutch. These simple changes can easily transition your look. While this trend is awesome and a great way to stay cozy all day we have to be careful when embracing the trend. The goal is to look laid back and chic not sloppy and tired. Categories: Fashion | Tags: Athleisure, boots, j crew, just fab, Kohl's, la style, Minnesota, minnesota model, model #minneapolis model, model me #Winter is here, ootd, winter fashion, winter style | Permalink.